"A modding tool that will enable you to continue your Xbox games"
You might know the situation in which you don’t seem to succeed in finishing a game or you can’t get to the next level because of the difficulty level. Well, then you might be interested in the freeware product presented here, called Horizon. 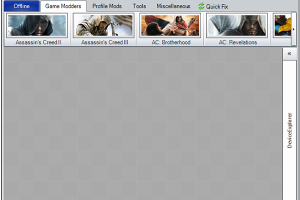 It’s a modding tool that will enable you to remove those blocking elements so you can continue playing your game. So, if you own an Xbox 360 this dedicated modding tool might be just what you’ve been looking for to unlock avatar awards and achievements for your favourite games. Horizon features an achievement unlocker, an avatar award unlocker, a GTA V editor, Halo Series with credit editors, Forza series with garbage editors, FIFA series with stat editors, a Call of Duty: Ghosts editor and a hard drive explorer. Proceed to the download if interested in this modder.